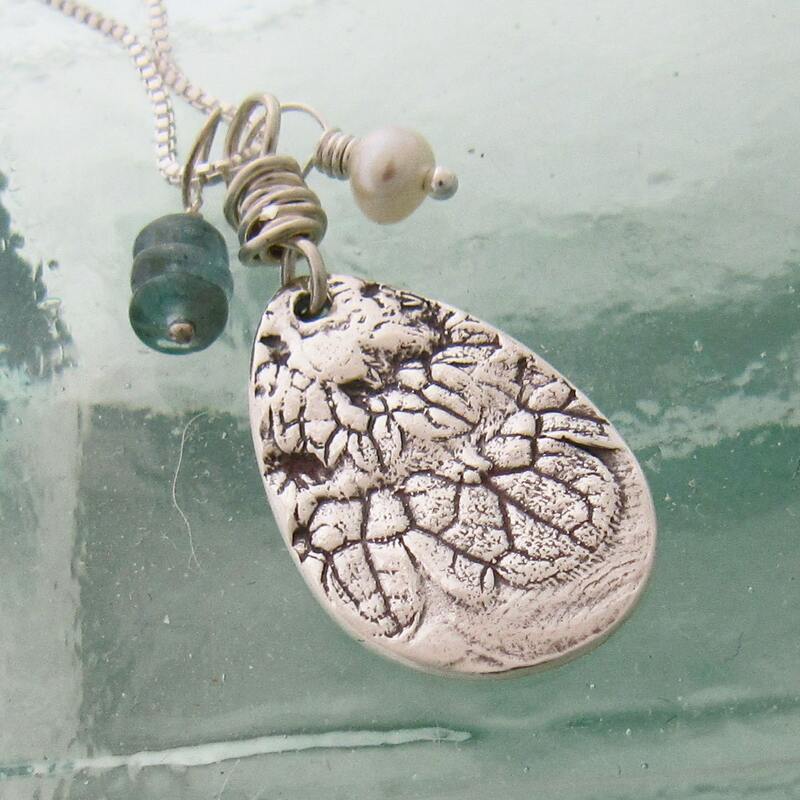 This pendant reminds me of angel wings- and though it is actually the veining from part of a leaf, I choose to think it is the impression from an angel's wing. I handcrafted this pendant using reclaimed .999 fine silver. I then added a patina finish to enhance the fine detailing of the design and polished it to a warm shine. The pendant is a teardrop shape and measures approx. 1/2" x 7/8" at its widest points. I wire wrapped a bale for this pendant to hang from using sterling wire and hung it from an 18" sterling (.925) chain. Next to the pendant hangs one freshwater pearl and a stack of three apatite beads on one headpin. 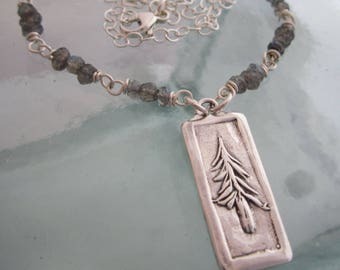 The beads are freehanging and since they are independent of the pendant they are interchangeable and you may wear one, both, or none next to the pendant as your mood or wardrobe change. An 18" sterling chain is included, but if you would prefer a different length or style please contact me and I will be happy to discuss your options with you.